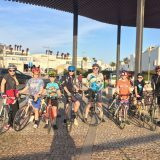 Brim full of excitement and enthusiasm, over 150 Willow Wheelers embarked on yet another cycling adventure on 19 March, this time to Portugal, homeland of the famous Henry the Navigator. Easter fell early this year, so the new destination was chosen to give best chance of fair cycling weather, and we certainly got our share of great cycling weather. We took a short bus trip from Faro Airport to hotel Alto da Colina in Albufeira for the first phase of exploring the hotel and its facilities. Yet again, the standard had been lifted with an excellent choice of accommodation and we were all made feel most welcome. Keys were issued as Christy McDaid outlined the plan of action and the boys scarpered off to their rooms to prepare for the afternoon’s cycle. The bikes had been transported by container and safely delivered by driver John Murray, a keen cyclist of Windmill Wheelers, Co. Roscommon. After dressing the bikes and a quick check, most of the year groups headed off for a reconnaissance spin along the coast that sunny Saturday afternoon. During the following days, the year groups went east, west and north. Group leaders assembled their charges after breakfast and every day was a new adventure. Initial skirmishes included such towns as Silves, which is overlooked by the medieval moorish castle, and the well named village of Alte. Whilst the coastal topography was typically flat, some of the groups went inland in search of mountains, including to Monchique and north of Salir, which were typically much more traditional and lost in an older time than the more vibrant coastal towns. Getting lost is an essential part of the whole experience for each year group and Portugal proved fertile ground for this objective, with perhaps one year group as an exception! Henry the Navigator would have been quite bemused by us. Most days the groups returned to the Algarve coast for lunch in one of the numerous charming restaurants that populate the seafront, often followed by a quick dip in the sea. John Piggot of The Bike Rack was to be seen repairing bicycles late into the evening and again early morning. Bruises and scratches were fixed up each evening by Siobhan Beatty and others suitably qualified. We had one broken collar bone accident, but the Willow Wheelers emergency car was quickly to the scene and off to hospital. 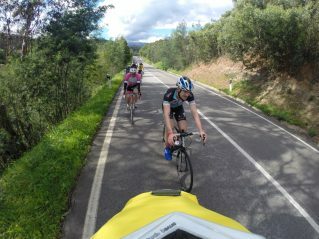 A full recovery has since been made and he is now back on his bike. The evenings were filled with tales of excitement and drama from the day. Weighty matters were hotly debated, such as whether to rely on the Garmin navigator device or the traditional paper map, or both. Names of the best restaurants and sites to visit were eagerly exchanged, with detailed menu recommendations. The Willow Wheelerettes proved not only capable at cycling, but arguably at karaoke singing. 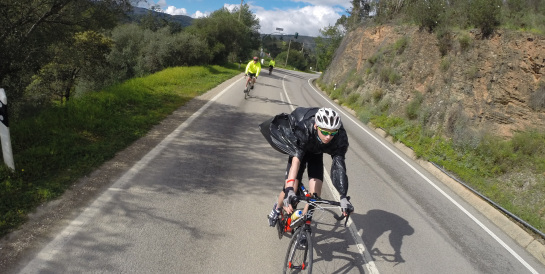 As the week wore on, it was observed that the time cycling shortened and time lunching extended, but the pure pleasure of cycling was evident throughout the trip, added to by the odd game of football and a spot of paintballing for good measure. 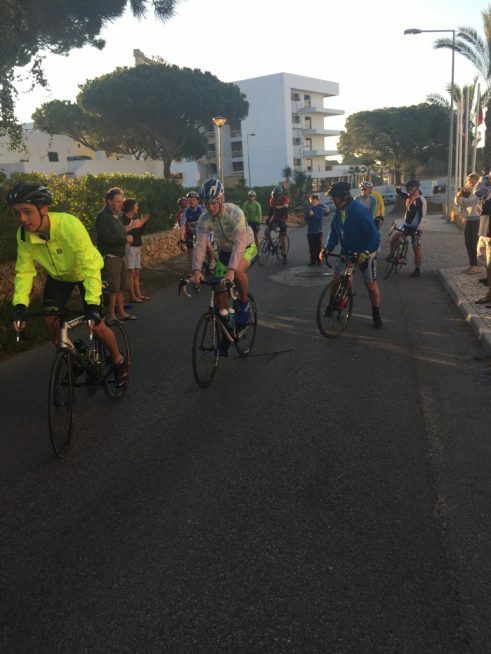 On the penultimate day, Tom Geary led off the traditional 100 mile Legends Cycle at 7am, which is a right of passage for the fifth year boys on their final overseas trip with the Willow Wheelers. This year, after the usual vigorously entertaining route debate, they decided to go West and turned for home within a few kilometres of the Spanish border. On the final evening, Christy McDaid summarised the highlights of the trip, thanked the many people who contributed to months of organising the trip and presented awards to the outstanding Wheelers. 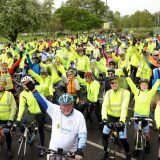 This was the largest group to travel overseas with the Willow Wheelers and the combined total kilometres cycled during the week comfortably exceeded the circumference of the globe! The fifth year boys each spoke of their time with the Willow Wheelers with great affection and warmth. 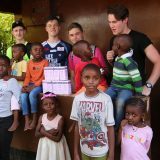 They reminded us of the sense of community that is central to the ethos of the Willow Wheelers and of how the Club is about supporting those who are less fortunate than ourselves. They are indeed, as are all the Willow Wheeler boys, a credit to themselves, their parents and to their school. We packed up the container and returned to Dublin on Good Friday, with tired bodies and refreshed souls. Previous story Portugal 2016 – 6th form view!